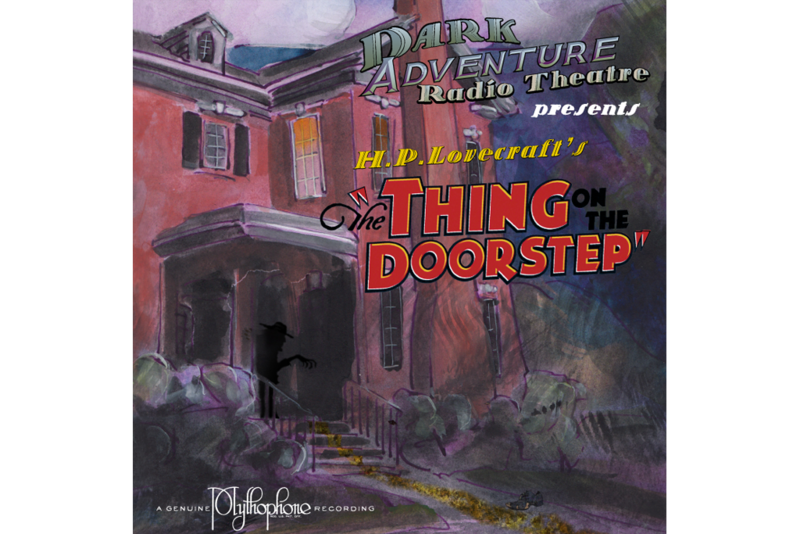 This very special holiday episode anthologizes three of Lovecraft’s favorite shorter tales, joining them with a Dickensian frame narrative. 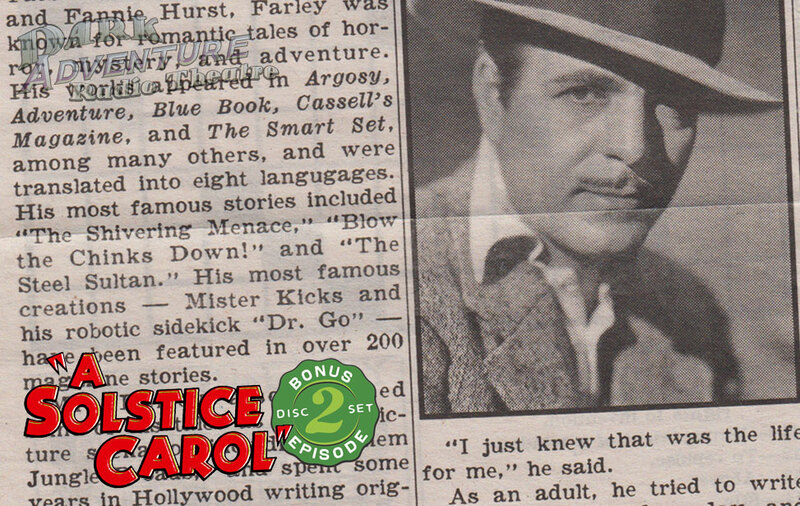 At almost 90 minutes in length, it comes on TWO CDs, and features FIVE bonus props documents. 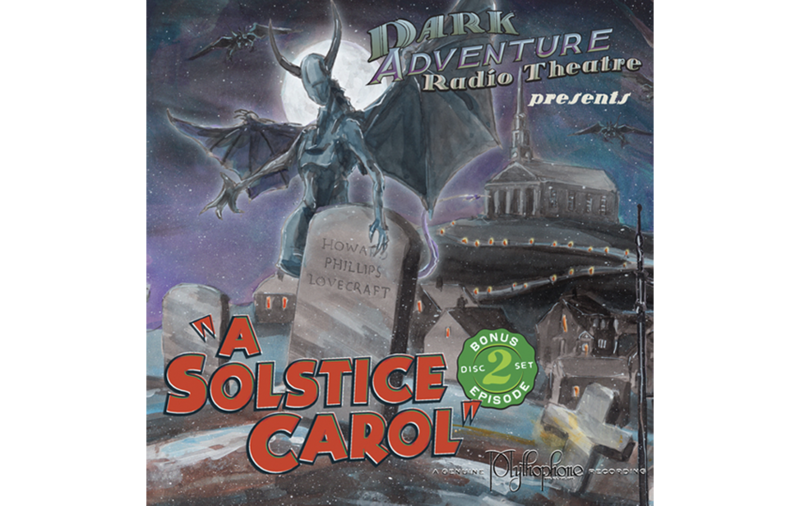 It also includes almost 45 minutes of fun bonus material, including Lovecraftian holiday poems, music, and the opening chapters of an original story! 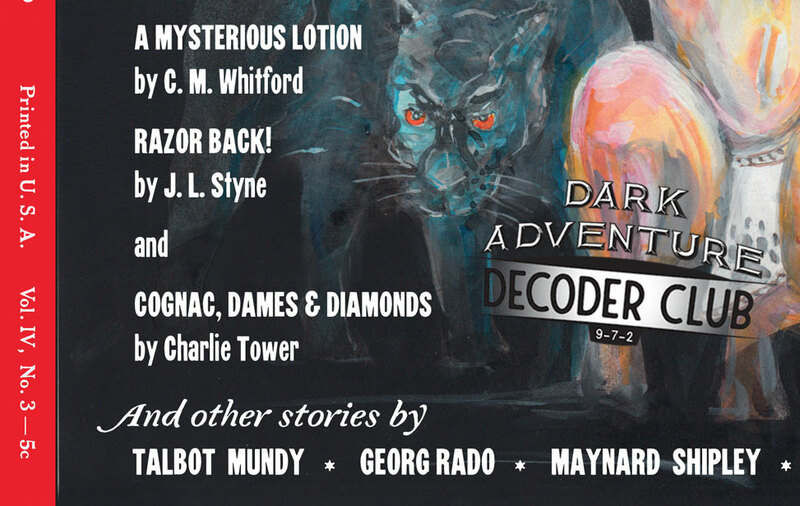 As he struggles with a terrible case of writer’s block, a young Providence writer gets assistance from the ghost of a popular but hackneyed pulp author, along with three spooky spirits who visit him in the dead of night. 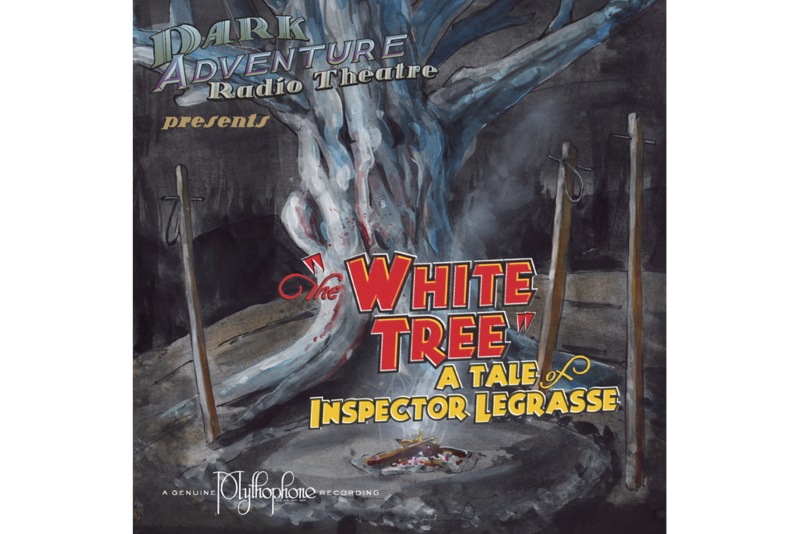 One takes him to ancient Kingsport, where he witnesses the events of "The Festival". Another takes him to present-day Boston, where he gets a look at the works of the ghoulish painter of the macabre, Richard Upton Pickman. The last spirit takes him to an all-but-deserted castle, occupied only by the lonely narrator of "The Outsider". As the writer encounters each of these figures, he learns something about himself, and begins to grow into the artist and mentor he will become. 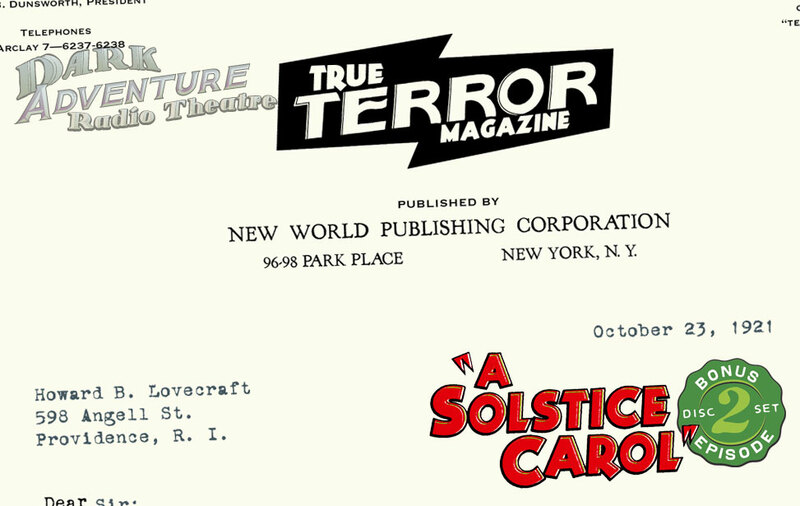 Lovecraft was very fond of Christmas but, notwithstanding that, was not at all fond of the works of Charles Dickens. 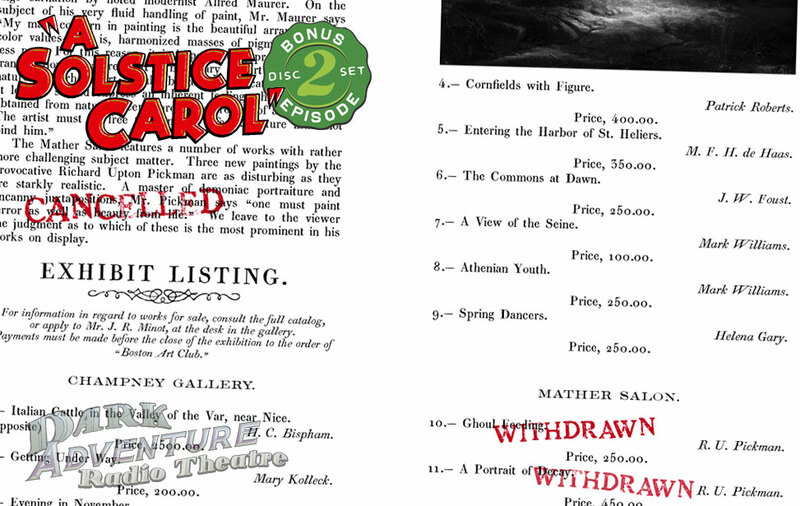 “I certainly loathe sentimental hypocrites like Dickens,” he wrote. “Dickens never drew a real human being in all his career—just a pageant of abstractions, exaggerations & general characters.” That’s a rather ironic indictment coming from a man whose writing seldom wins praise for the richness of its human characters. 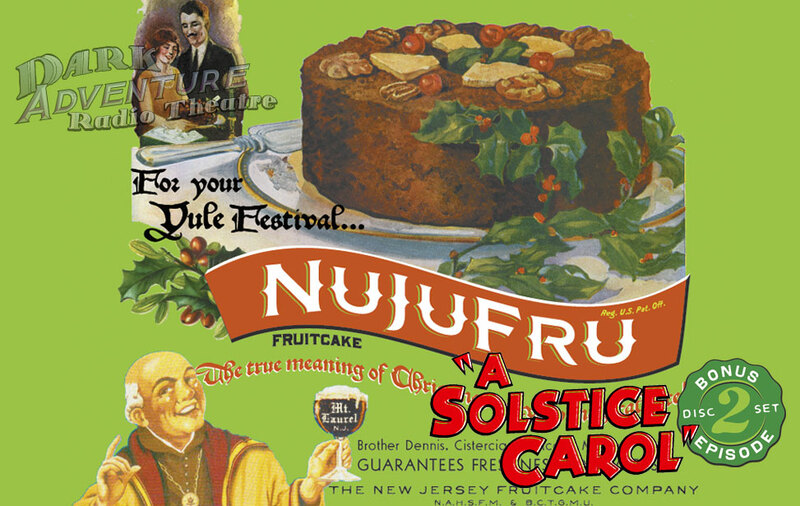 But we hope our telling of “A Solstice Carol” might shine an imaginative light on an author and the evolution of his own character. 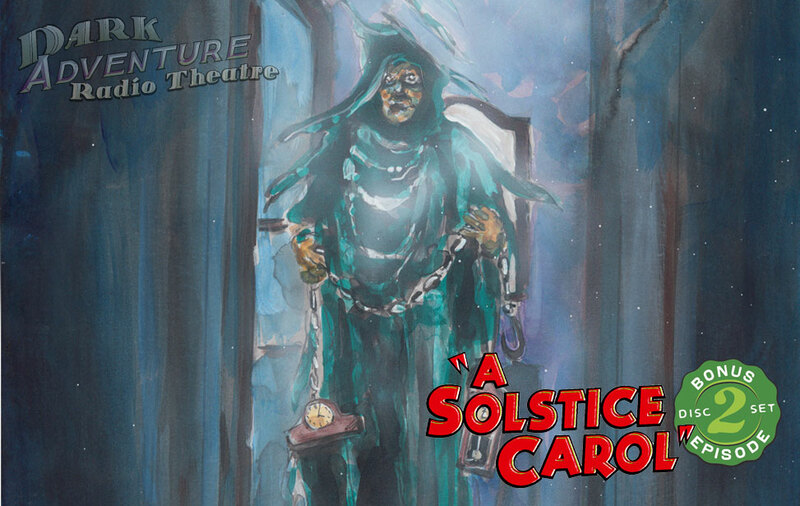 In commingling his works “The Festival”, “Pickman’s Model” and “The Outsider” with Dickens’ iconic tale of spirits past, present, and future, we hope our audience may glean a fresh appreciation for the accomplishments of both authors and the intrinsic power of the solstice season. 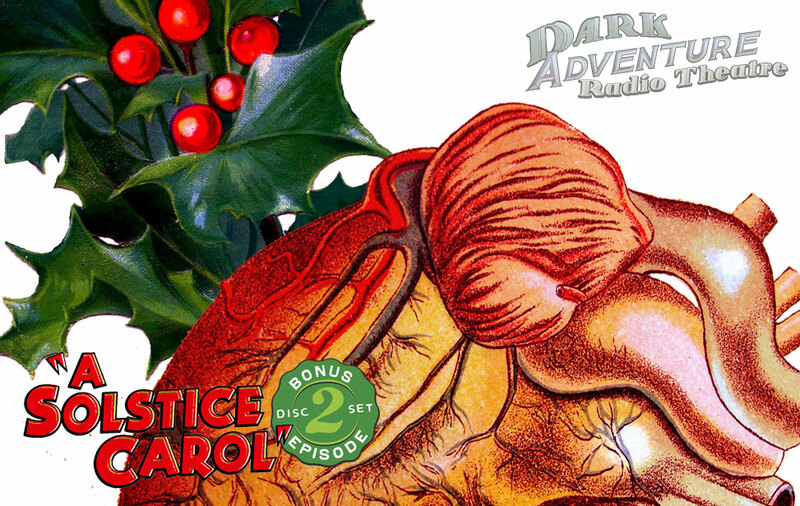 A page torn from the Necronomicon, describing the Yule Rite as it appears in "The Festival"
If you enjoy the bonus musical tracks included with this episode and want even more horror in your holidays, you might greatly enjoy our two albums of Solstice music: A Very Scary Solstice and An Even Scarier Solstice. 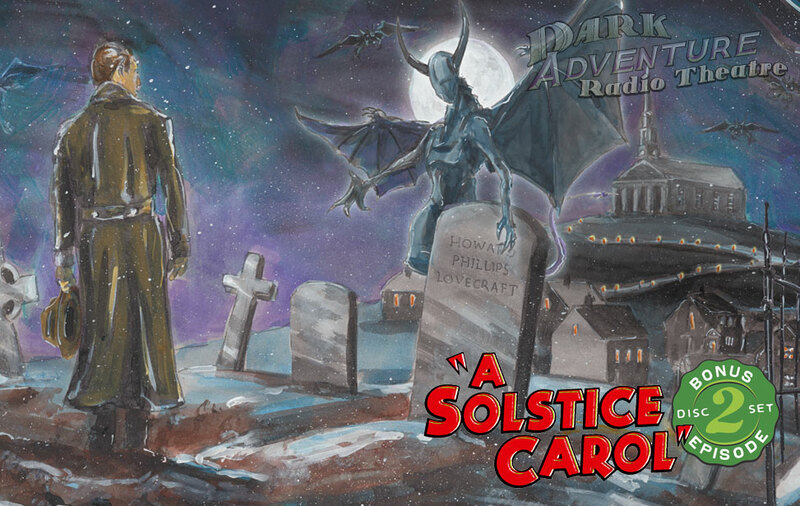 We took 46 familiar holiday songs and provided them with Lovecraftian lyrics, performed by talented singers accompanied by beautiful instrumentation. Just wait until you hear the "Oh Cthulhu" chorus! 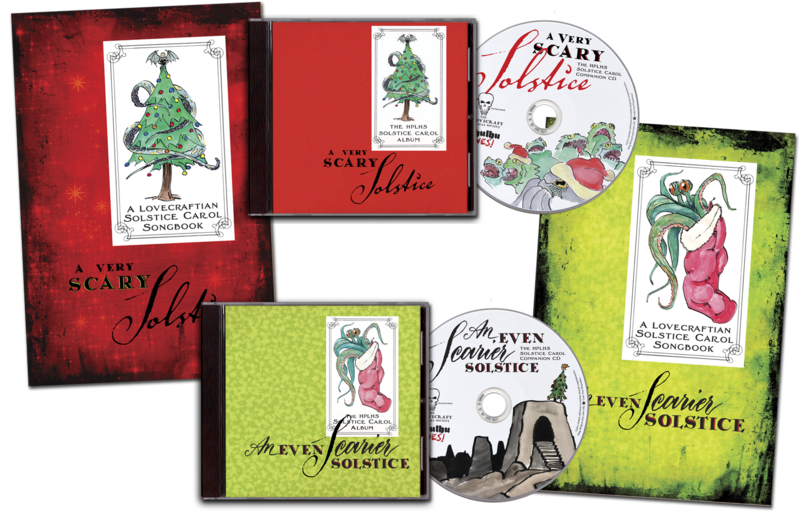 For your enjoyment, we present free PDF downloads of the final recording script and liner notes of A Solstice Carol. 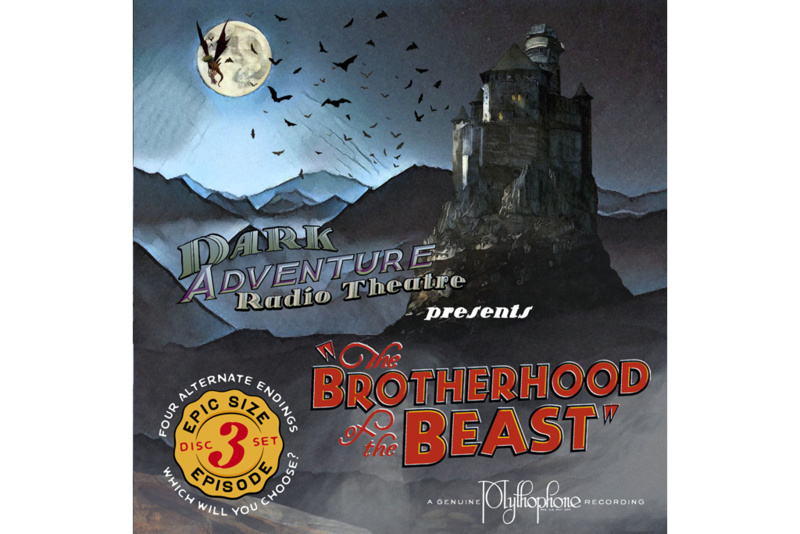 Note: this script is only for use for reading along with Dark Adventure Radio Theatre; no performance of the script may be made without written consent of the HPLHS.